Are you looking for a reliable expert to meet your landscape construction or excavation needs? Call Cedar County Landscaping, Inc. We specialize in bulldozer work that requires heavy equipment and professional operators. We have the expertise and resources to complete a wide variety of bulldozer work. Bulldozer work, whether for land clearing, site preparation or any other project is a highly specialized task. The technicians you hire should be adequately trained and experienced in conducting bulldozer work. With us on the job, you can rest easy that your bulldozer work is in capable hands. We take pride in finishing all our bulldozer work, land clearing and site preparation efficiently to meet exacting standards. Our bulldozer work specialists literally move earth to ensure your satisfaction! Our bulldozer work team is the perfect choice when you need help with a property having overgrown grass, shrubs & trees, rocks and boulders. We work meticulously to get your land clearing and ground leveling job completed with minimal soil disturbance. We strive to provide you with hassle-free land clearing, site preparation and bulldozer work that exceeds your quality and service expectations. 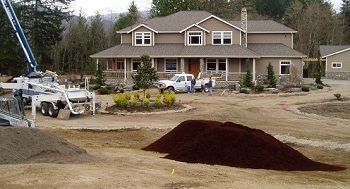 Site preparation for landscaping is one of the services we specialize in. We believe that proper site preparation lays the foundation for a great landscape design. 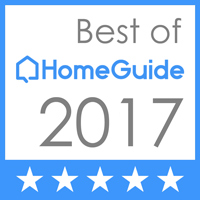 Our site preparation experts work fast and efficiently so that you can go ahead with your landscaping project without delay. With our experience in the earth moving business, we assure you of extremely professional, safe and reliable bulldozer work. Our careful site preparation and land clearing services make sure that your property is clear, clean and perfectly ready for use. We can handle any and every dirt work. 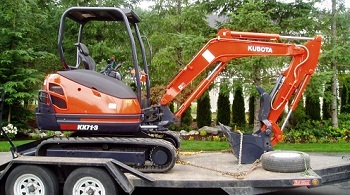 Call Cedar County Landscaping, Inc. at 425-358-2779 for land clearing and site preparation and other bulldozer work.